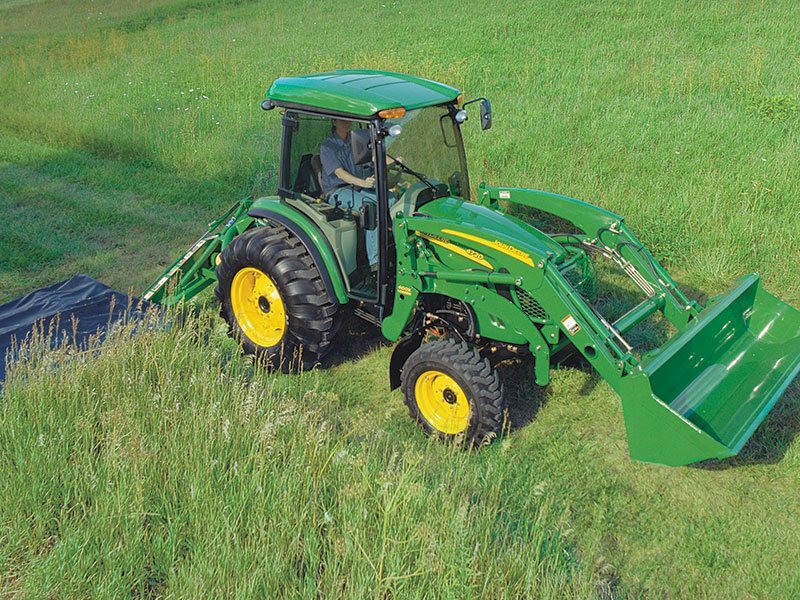 The John Deere 4720 is a compact utility tractor has a 66-hp engine. 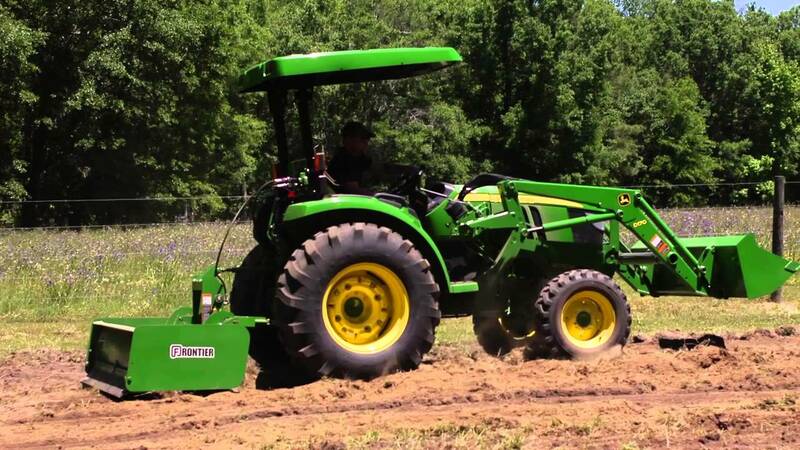 The John Deere 4720 produces 66-horsepower with a four-cylinder turbocharged engine with e-Hydro. 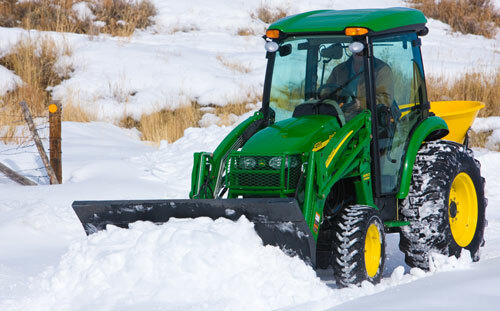 4720 is equipped with 4WD (wheel drive) provides great for riding control. 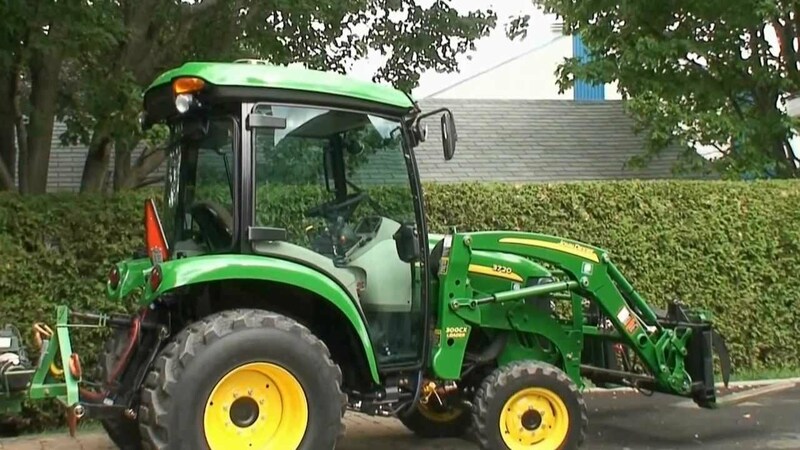 This tractor can be used for various operations like residential, commercial, governmental, and agricultural users. 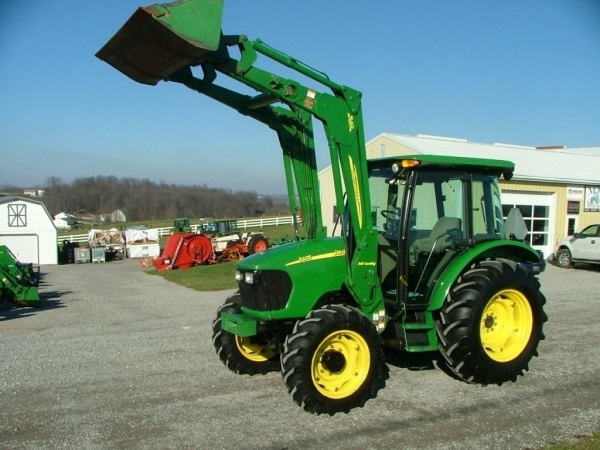 4720 begins with a John Deere manufactured 4024 T(Turbo) turbocharged four-cylinder. 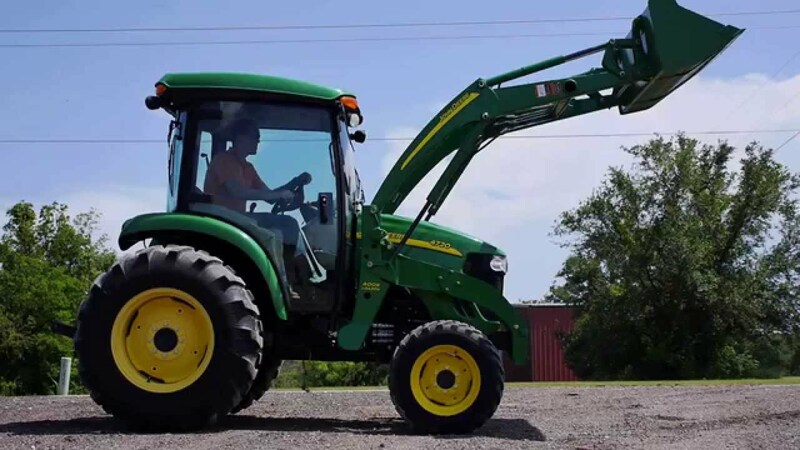 It is able to convey 66 gross horsepower with 56 horsepower for the power take off (PTO), it’s 148.9 ci (2.44L) engine is direct injected for quick starts, efficiency, and more power with high fuel efficiency. The torque of 123.86-foot pounds is really impressive, there is some serious power available to get any heavy task you have. 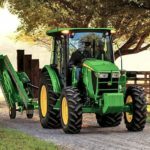 John deere 7930 Tractor Info. Displacement 2.44 L 4 / 148.9 cu in. Fuel tank capacity Open-54.9; Cab-52.2 L Open-14.5; Cab-13.8 U.S. gal. Wheelbase 1816 mm 71.5 in. 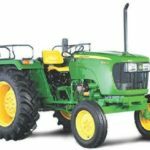 The 4720 engine has a speed range of 950 – 2600 rpm, with its rated horsepower encouraging 2400 rpm. 4720 can consume 3.28 gallons of diesel per hour under full load. 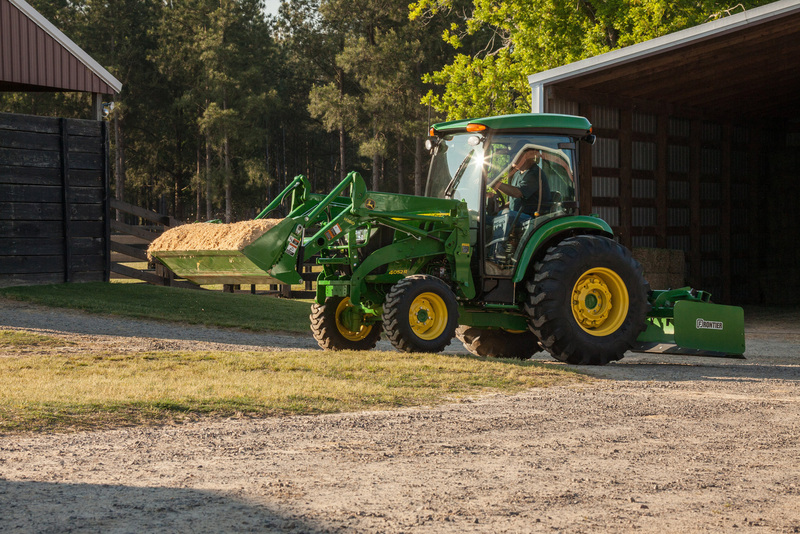 The starter of 4720 is rated at 2.9 horsepower. The 4024T is EPA Interim Tier-4 compliant. 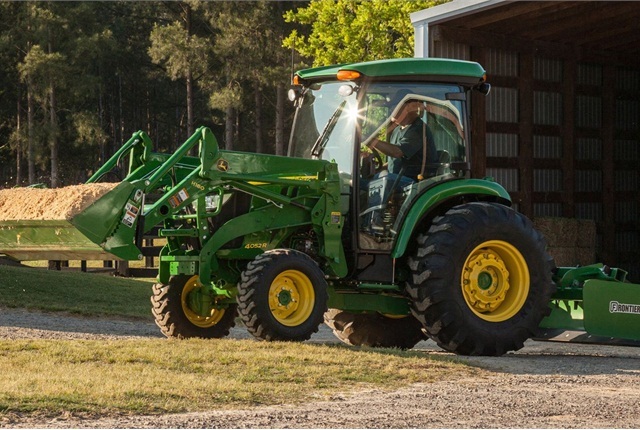 There is three-range transmission available on a 4720. Using the twin side-by-side pedal arrangement. The eHydro transmission offers good control over the entire impressive variable forward and reverses speed range. eHydro provides high torque. Large support bearings are designed for reducing vibration and noise. The housing is made from strong Ductile Iron and pressure filtration instead of suction tube filtration for longer life. The transmission cooler is standard. 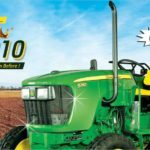 eHydro electronics allow the tractor to start easier. Electric cruise control is also a part of the eHydro package. The PTO can be engaged with the operator. This is especially useful when it is running. A fully independent 540 rpm rear PTO is standard. 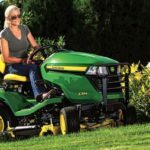 A snowblower or a mid-mount mower can run 2100 rpm, mid-PTO is an option. Economy PTO which allows PTO speed to be reached at 1750 rpm. The Differential lock of 4720 is standard. Hydraulics system contains open center with 12.0 GPM and 5.1 GPM to power steering requirement all at 2500 psi. Three-point hitch (3PH) lifting capacity is 2500 lbs. There are 24” standard link arms in 4720. At the link ends the capacity increases to 3130 lbs. The hydraulics of 4720 can operate by five remotes. The hydraulic system requires 9.6 gallons of fluid. The operator can actually use the brakes to improve turning radius with split brakes on the left. 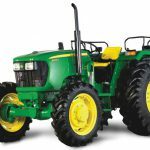 The turning radius of John Deere 4720 is 9.8’ w/o brakes and 9.2’. Dump clearance of 87”(inch) it will pickup truck or trailer with a breakout force rating of 3512 lbs. 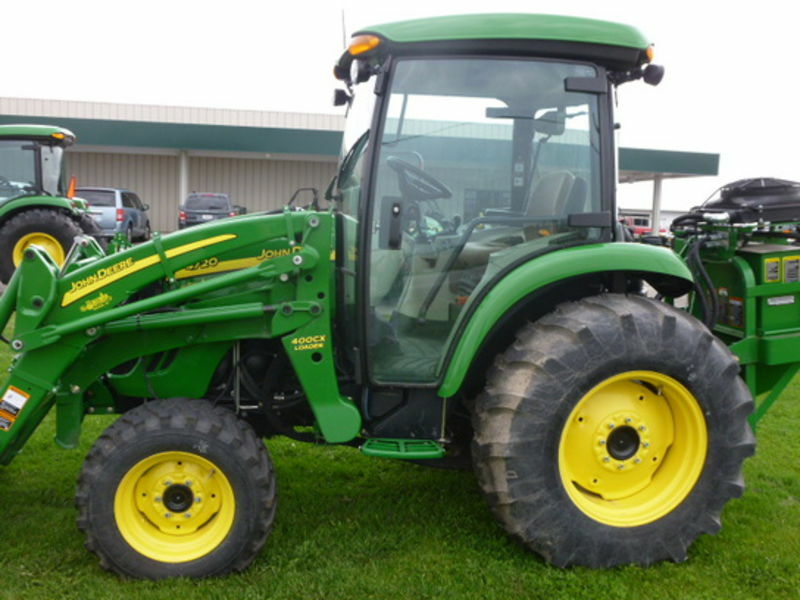 John Deere 4720 comes with 8.00-16 R1 (Ag) front and 13.6-28R1 (Ag) rear tires with 71.5”(inch) wheelbase. 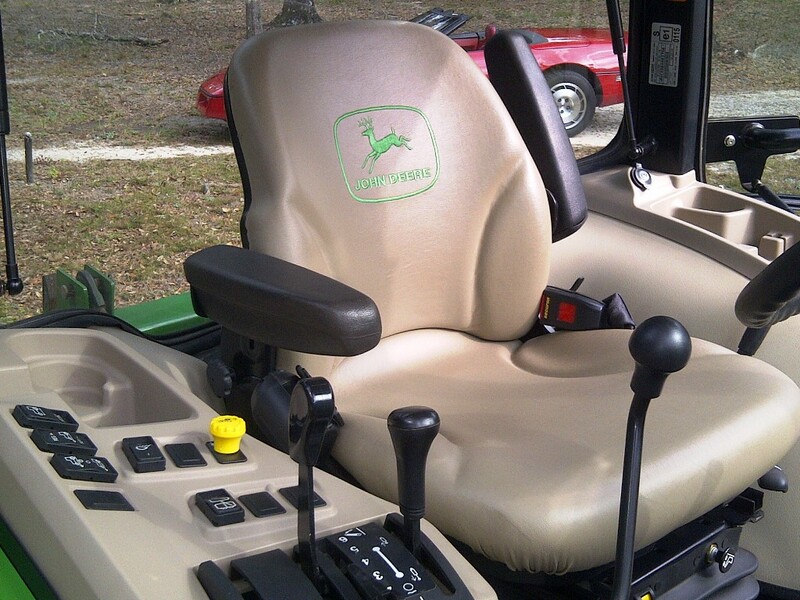 The John Deere cab gets comfort as car quality. The cab is totally isolated from the outside environment and a pressurized filtration system of a single roof intake that keeps away dust from entering the cab. At PTO rpm the sound level rating of 4720 achieves 78 dBA. A quiet, vibration isolated environment certainly makes for less operator fatigue in the field. The climate control system 15,000 BTU of heating and cooling power which is able to control the climate in a 600 square foot room. Up to 30 degrees, the temperature differential is achievable. 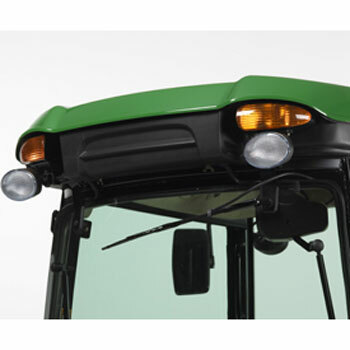 The raised header allows full visibility to the operator for loader operation from ground to full lift height. 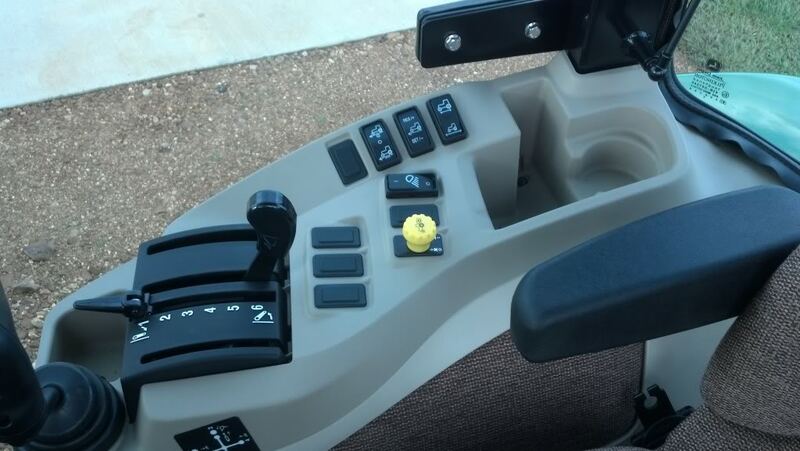 John Deere positions major controls are mounted on the right arm console. This makes the left door for entry only to the cab. Cabs are rollover protection system (ROPS) certified. Its large amount of glass provides full 360 degrees of view to the operator. There is an addition of comfort with optional deluxe cloth air ride seat for the rider. The seat can adjust as requirement perfect comfortable position. 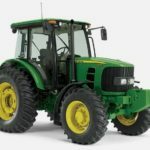 The 4720 is also fitted with the optional Jensen SWJHD1620 AM/FM radio, CDs, weather band, is according to with your iPod, and allows satellite connection. Its cab is quiet enough to where you might want to consider this option. There is two cup holders, a 12V power supply, cell phone, and hitch pin storage step up the convenience built in. Warning lights are all combined to protect everything. The front wiper/washer is standard and the rear kit is optional. The rear window can swing full 70 degrees for ventilation and good visibility. Other options include such as dual external rearview mirrors, light, backup alarm, front fenders. The 4720 comes with all electronic system. 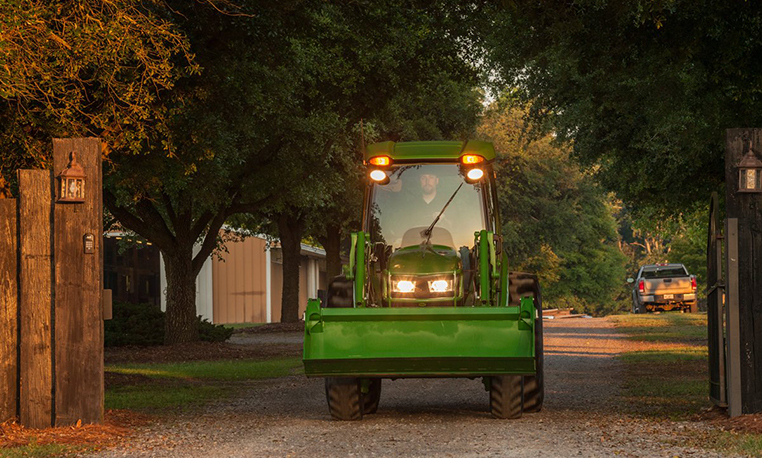 LoadMatch automatically reduces drive speed and maximizing torque. MotionMatch adjusts the amount of de-acceleration with nine settings. eThrottle is very useful to save fuel and increase efficiency. 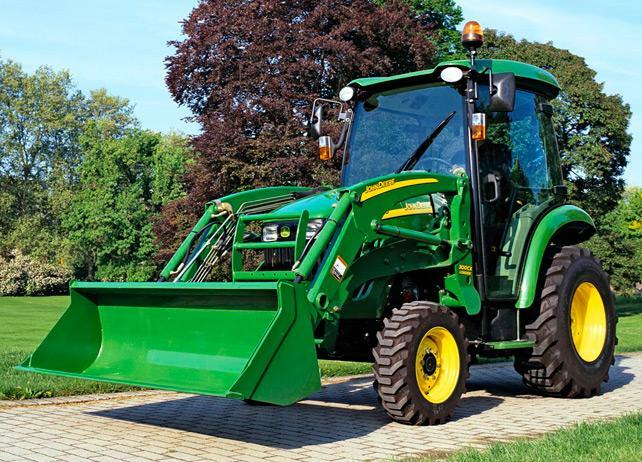 There are all features available what you expect from John Deere like comfort, style, economy, capability, and durability. 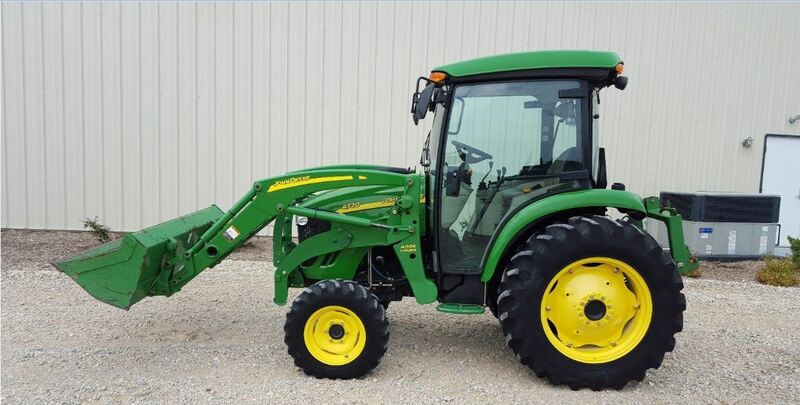 If you are looking for a tractor of this class and size, check out the 4720. 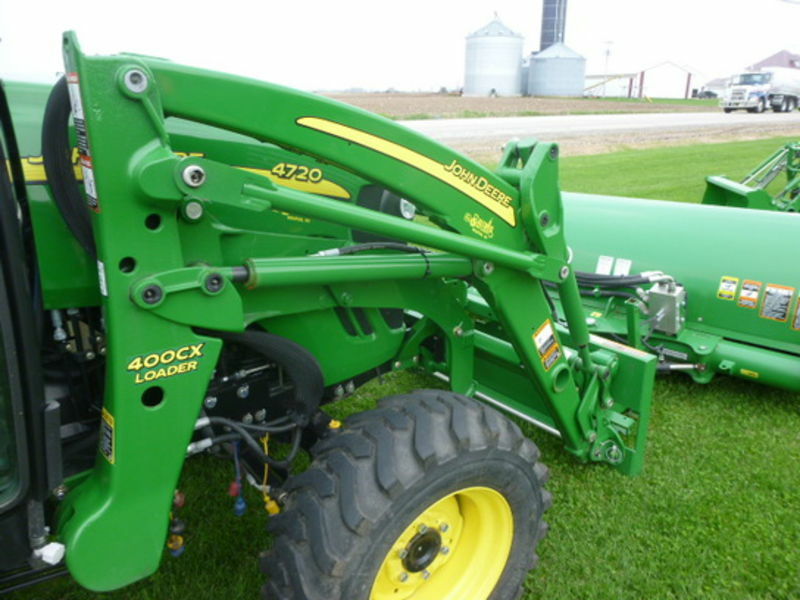 4720 is very affordable and efficient tractor in its class. I think you’ll be impressed with it.